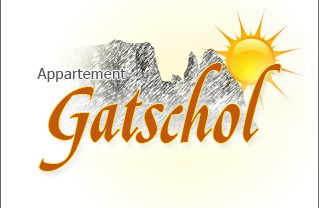 A paradise for winter sports enthusiasts. 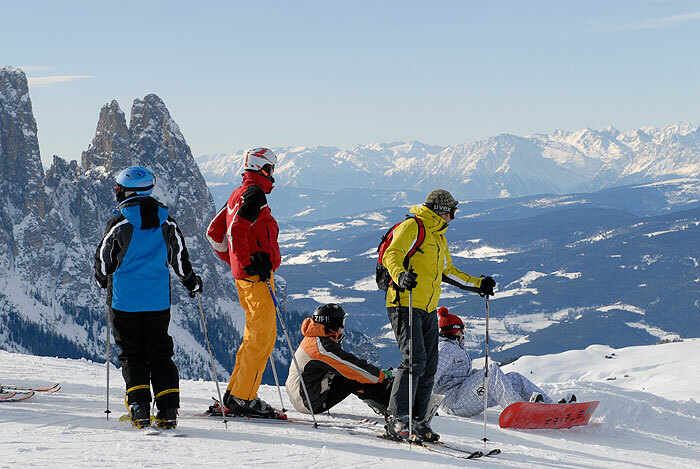 • 60 km of perfectly groomed slopes, broad, not too much frequented, in several degrees of difficulty with connection to the Sellaronda. 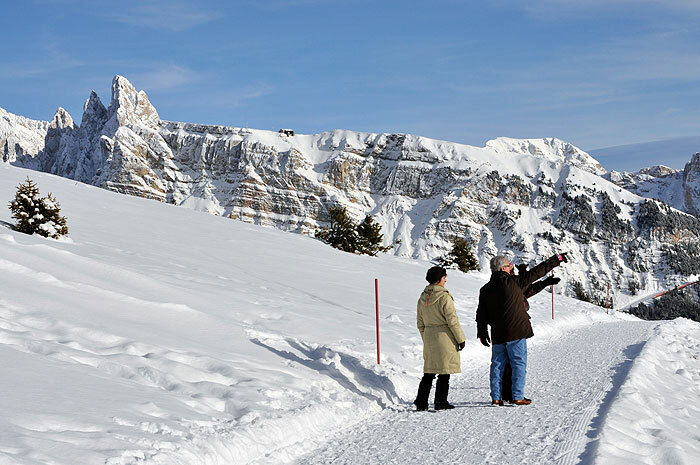 • 80 km cross country skiing trails embedded in the fantastic mountain scenery of the UNESCO World Heritage Site. • King Laurin Snow park which has been elected by the ISPO Snowsummit Awards as one of the 5 most beautiful snow parks in Europe. Two line boxes steps und kickers as well as jumps, walls and kicks are provided on a length of approx. 1500 m. Furthermore a standardized half pipe is available for snowboarders and freestylers. 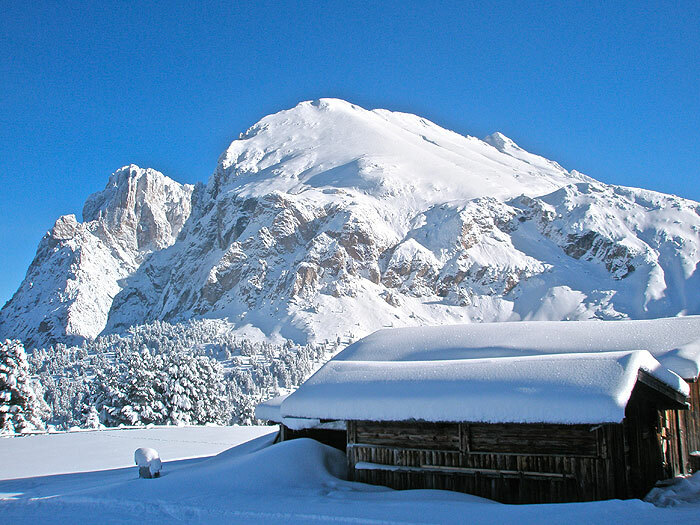 • The ADAC Ski Guide features the top ski resorts in the Alps. The area of the Alpe di Suisi has been elected as TOP-Ski resort in the category family/children.